March 22, 2012. 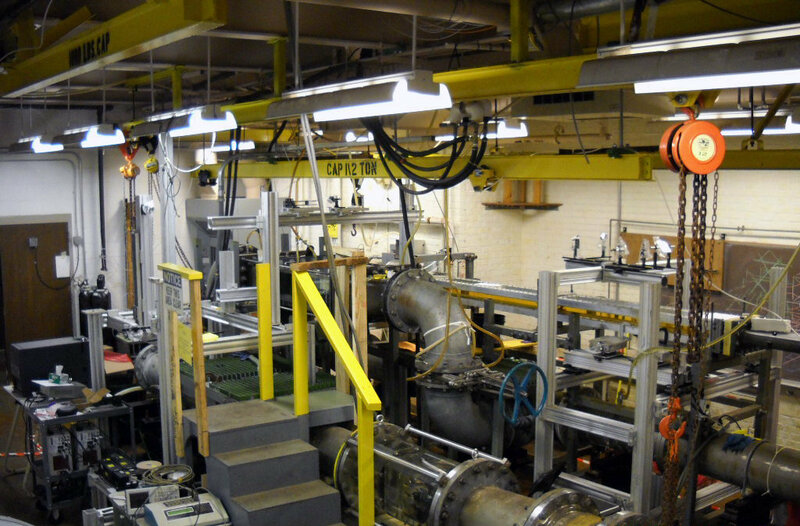 Dr. Joseph Katz with the Johns Hopkins University (JHU) is excited about his oil-related research, especially now that he can conduct experiments in a state-of-the-art facility and build upon his previous work. Katz, an expert in experimental fluid mechanics and development of optical diagnostics, is a Co-Principal Investigator in the Gulf of Mexico Research Initiative (GoMRI) DROPPS consortium, investigating and modeling processes involved with the dispersion of oil spills and interactions of oil with marine organisms. Leveraging the GoMRI award, the Dean of the Whiting School of Engineering at JHU provided Dr. Katz with about $450,000 to construct an 1100 sq. ft. oil-spills research laboratory. The funds will be used for installing proper ventilation, establishing a containment area (to prevent spreading of oil in case of a spill), providing proper power and access for large facilities, and installing a series of safety measures as well as the ability to separate oil from water after the experiments. Scientists with this project will use substantial quantities of crude oil in their research, and the expanded lab capabilities will help with the safe and successful conduct of their studies. Observing oil droplet formation by rollup of vortices at high speed. Dr. Katz leads experiments that replicate water and oil mixing dynamics in large plumes, breaking waves, shear layers and isotropic turbulence. The JHU research team performs this research in collaboration with Dr. Kathleen Stebe (University of Pennsylvania), Dr. Mark Reed (SINTEF, Norway), Dr. Jim Bonner (Clarkson University), Dr. Jian Sheng (University of Minnesota), Drs. Zhenfei Liu and Deana Erdner (University of Texas), as well as Dr. J. Rudi Strickler (University of Wisconsin) – all members of the DROPPS consortium led by Dr. Edward Buskey (University of Texas). Together, they study interactions between oil and marine organisms, develop modeling tools, and characterize the phases where fluids and solids intersect. The development of reliable tools to understand what happens to oil after a large spill remains a major challenge due to the complex physical-chemical-biological phenomena in play. The GoMRI and JHU investments in oil research provide Dr. Katz the ability to address these challenges. For the next few years, the DROPPS project will be a substantial component of the research activity in the JHU laboratory. The project provides an opportunity to make contributions to the field of oil spills and multiphase flow phenomena, supporting the DROPPS’ goal of developing new measurement techniques and modeling tools to predict the fate and transport of oil spills. Dr. Katz received his Ph.D. and M.S. from the California Institute of Technology and his B.S. at the Tel-Aviv University. He is a William F. Ward Sr. Distinguished Professor of Mechanical Engineering at the JHU Whiting School of Engineering. Katz served as technical editor of the American Society of Mechanical Engineers Journal of Fluids Engineering. He was co-director and co-founder of the Center for Environmental and Applied Fluid Mechanics at JHU. This research was made possible by a grant from BP/The Gulf of Mexico Research Initiative. The GoMRI is a 10-year, $500 million independent research program established by an agreement between BP and the Gulf of Mexico Alliance to study the effects of the Deepwater Horizon incident and the potential associated impact of this and similar incidents on the environment and public health.